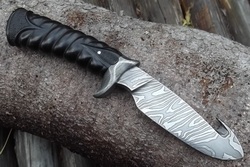 Forged 1095 blade with temperline.Nickel silver guard.Blackwood handle carved with white oak leaf on each side. 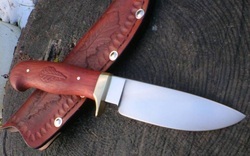 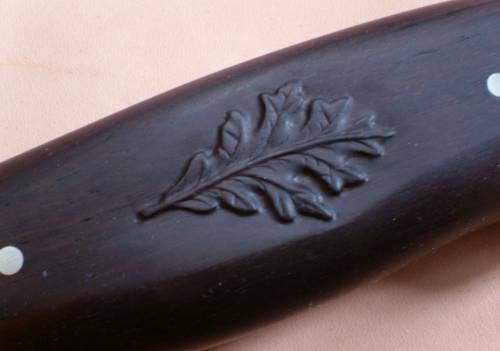 Forged carbon steel blade,brass guard.Bloodwood handle carved with oak leaf each side. 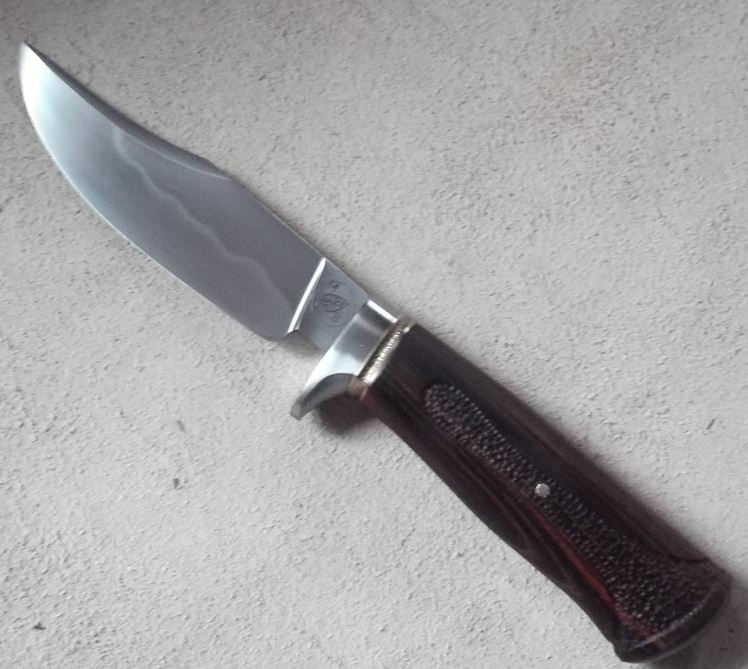 Forged 1095 blade with temperline.Nickel silver bolsters.Canvas micarta scales. 1095 blade.Dyed birdseye maple,nickel silver spacers,and bone.Includes sheath. 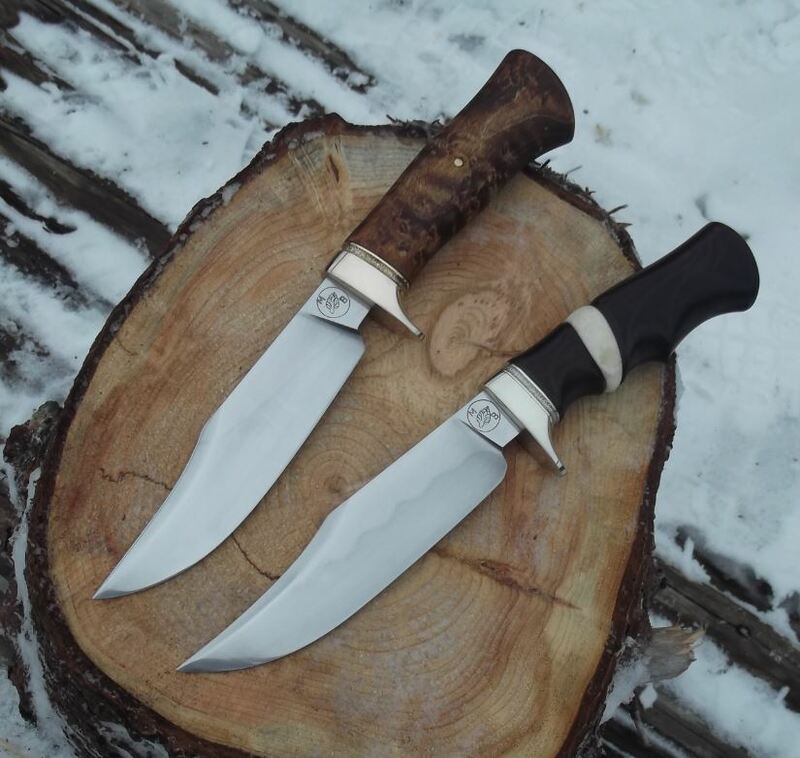 Forged 1075 blade with clay temperline/hamon. 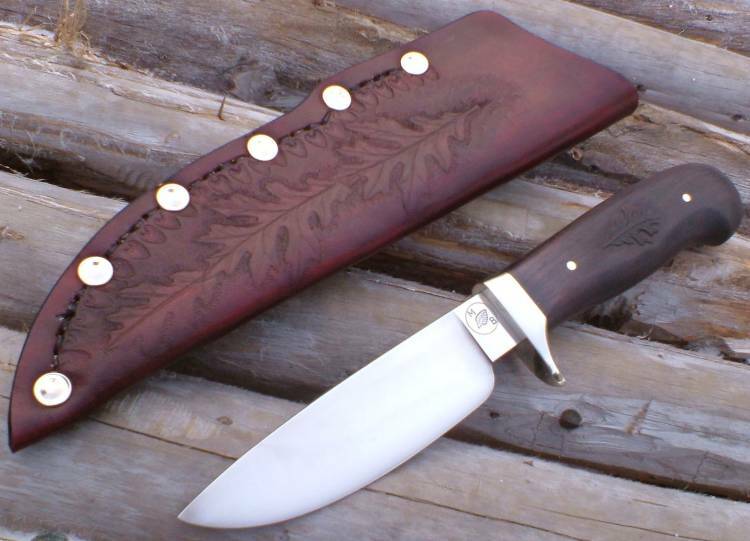 Stainless guard,bronze spacer.Carved cocobolo handle. 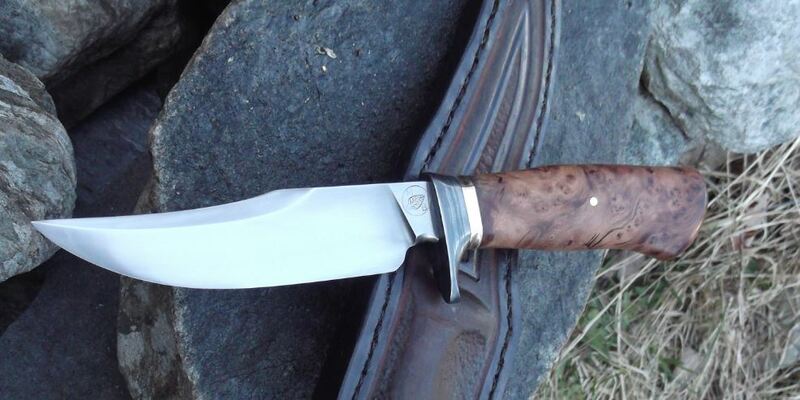 Stabilized undyed birdseye maple handle.1075 blade with edge quench line. 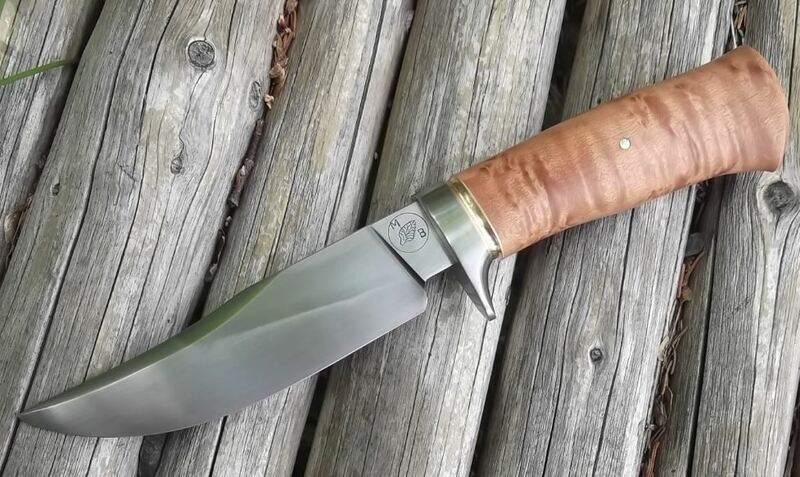 Bronze spacer.416 stainless guard. 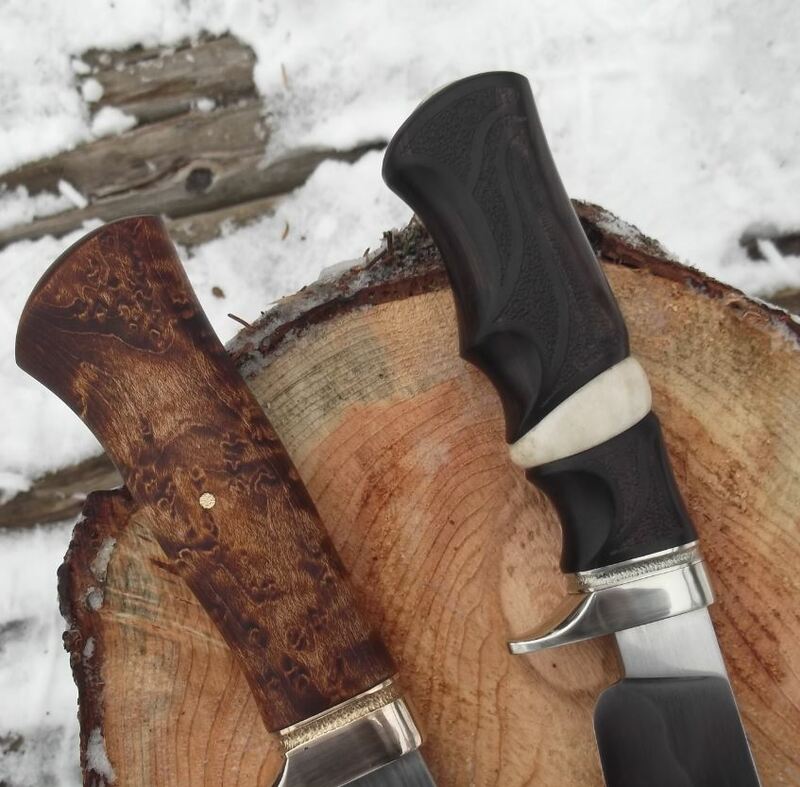 Stabilized juniper burl handle.Forged blade,wrought iron and bronze fittings.